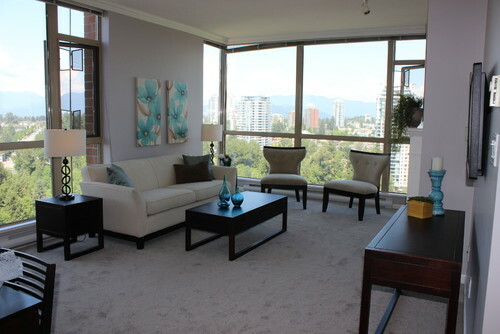 Do you have an investment condo that you’re planning to put for lease? If so, you’ll want to consider how to set up the space to attract tenants and get the right rental fee for your investment. Whether or not you’re hiring a home staging professional, you’ll want to think about these tips we’ve put together as you prepare to list your investment unit. First and foremost, give your space a thorough clean. You want prospective tenants to see the place, not the filth. This means, dust, sweep and mop every square inch. Give the appliances a deep clean from inside out. Make the bathrooms sparkly clean. Scrub the tile grout and get the carpets professionally cleaned if necessary. If this is your existing home that you’re putting up for lease than you’ll likely have furniture and decor to use for staging. But, you won’t need everything. Keep only the essentials. For example, the master bedroom doesn’t need two dressers and two nightstands. The kitchen counter doesn’t need every small appliance and the bathroom certainly doesn’t need every toiletry. You’ll want to pair things down so that prospective tenants can visualize their own things in the space and most importantly, walk around without stubbing a toe! If you’re space is unoccupied and bare, you will need to invest in some pieces for staging or pursue professional staging options. An empty unit can feel cold and even seem like there’s room for more negotiation, in regards to the monthly lease amount. Using neutral colours throughout the unit has several benefits. Neutrals open up a space, allow room for imagination and is less likely to turn off any visitors. The last thing you want to hear is, “Yuck, did you see that red?” Use whites, off whites, pale blues, greens and other gentle, pastel colours as much as you can. Do you have a dated dining set? You know the one…cherry wood, ornate and goes back several decades? You will want to swap that and any other extremely dated furniture or prominent decor that sticks out like a sore thumb. Again, you want prospective tenants to envision themselves in the space and not fixated on the awkward furniture! Simplify window coverings and let the light pour in. Shutters and quality blinds work well and so do bare windows with a nice, contemporary curtain drawn to the side. Most people want a home with a lot of natural light, so don’t hinder it during showings. Everyone wants their home to feel like a happy place with good vibes only. It’s important to create a warm, homey atmosphere without going overboard. A few unlit candles gathered in a corner, centerpieces for the coffee and dining tables, a plant here and there, and several understated pieces of artwork are just some ways to set the right ambiance. In the bathroom, a fresh shower curtain and a new hand towels add the right touch, while in the bedroom, a neatly made bed with a spread at the foot, adds a subtle decorative element.